Stir over cracked ice. Strain in a cocktail glass. If you are a fan of Campari this one is for you. 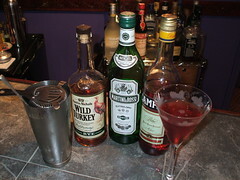 If Campari is a bit to harsh for you , dont worry, the Rye is the perfect additive taking some of the bitterness out of it.